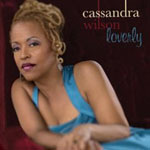 Any vocalist who can take an old chestnut like "St. James Infirmary" and make it swing and crackle like never before, as Cassandra Wilson did on the wonderful Loverly(Blue Note, 2008), is surely something a bit special. 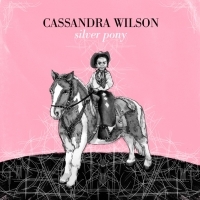 Wilson's ability to make old material sound freshly minted is nothing new however, and Closer to You: The Pop Side isn't a quickly recorded cash-in on the cross-over appeal of Loverly, but a compilation of very personal interpretations of popular songs she has recorded over the years. What's striking about this compilation, is just how much of a blues singer Wilson is at heart. Slowing things down on "Last Train to Clarkesville," Wilson breathes a poignancy into the "coffee-colored kisses" and "a bit of conversation" that the original never had. When her dusky bass vocal ponders: "...and I don't know if I'm ever coming home," it's certain she won't. "I Can't Stand the Rain" is another unlikely tune similarly transformed into a pre-electric blues which sounds as timeless as if dusted off from the lost Robert Johnson songbook. Accompanied beautifully by Chris Whitely on acoustic slide guitar, this is Wilson at her impressionistic best, every word and cry heavy with emotion. Elsewhere, Wilson gives a fairly faithful, yet heart-felt rendition of Van Morrison's gorgeous "Tupelo Honey" and brings warmth to Robbie Robertson's "The Weight." More personal is Wilson's treatment of one of Neil Young's acoustic gems, "Harvest Moon." Beautiful playing from Brandon Ross on acoustic guitar, Kevin Breit's steel guitar and quietly shimmering banjo, and ghostly percussion from Cyro Baptista make this an album highlight. Bob Dylan's "Lay Lady Lay" has a skipping Afro-Caribbean vibe, and is lent real swing by the double upright bass combination of Reginald Veal and Calvin Jones, and the snappy percussion of Jeffrey Haynes. Haynes is also featured alongside drummer Terri Lyne Carrington on Sting's "Fragile." 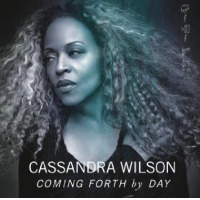 Wilson's performance is understated, allowing the beauty of the melody to carry her, and just a little vocal dissonance is enough to underscore the song's message. On "Love is Blindness" Wilson's timing, and the emotional depth with which she imbues Bono's lyrics recall late-career Joni Mitchell, perhaps the one singer of the last quarter of a century with whom it is possible to compare Wilson: both Mitchell and Wilson are adventurous singers; both are romantics at heart; and both work lyrics like sculptors. It would be easy to imagine Mitchell doing something similar to Wilson's bewitching take on Cindy Lauper's "Time after Time." Like Mitchell, Wilson makes a pop tune sound like the blues, injects jazz swing at will, and blends genre and styles with her voice so smoothly that such considerations cease to matter. Mitchell suffered unfairly from a pop world uncomfortable with her jazzy leanings, and a jazz community which perhaps regarded her with uncertainty. But Mitchell was ahead of her time, and laid the ground for singers like Cassandra Wilson to work their own magic with whatever material they wish. And work her magic Wilson does. Track Listing: Love Is Blindness; Time After Time; Fragile; Closer to You; Last Train to Clarksville; The Weight; Tupelo Honey; Harvest Moon; I Can't Stand the Rain; Lay Lady Lay; Wichita Lineman. 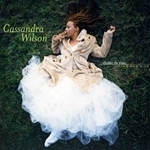 Personnel: Cassandra Wilson: guitar, vocals; Chris Whitley: guitar; Lonnie Plaxico: bass, acoustic bass; Jim Keltner: drums; Reginald Veal: upright bass; Calvin "Fuzz" Jones: upright bass; Cyro Baptista: percussion; T Bone Burnett: guitar, vocals; Charles Burnham: violin; Lance Carter: drums; Keith Ciancia: piano, keyboards; Jeff Haynes: percussion; Brandon Ross: acoustic guitar, guitar, steel guitar; Marvin Sewell: acoustic guitar; Kevin Breit: banjo, bouzouki, guitar, mandolin, electric guitar, guitar (resonator); Cecilia Smith: marimbas; Perry Wilson: drums; Mark Peterson: bass, acoustic bass; Doug Wamble: acoustic guitar; Fabrizio Sotti: guitar; Xavyon Jamison:drums; Kevin Johnson: percussion.